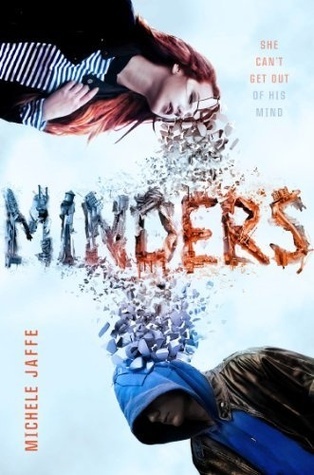 Sadie is driven to be the best she can be and has been chosen to be part of the prestigious Mind Corps program. As a Minder, she will be an observer inside the brain of someone from the inner city and will be asked to report back on what she sees during the six weeks she is inside Ford's mind. At first Sadie can't understand what makes Ford tick but she slowly begins to understand him more and more and realizes he's not the thug she had assumed he'd be. Sadie goes from being an objective observer to falling in love with her subject. When Ford is accused of murder Sadie believes she knows what happened since she was there, in his mind, at the time. But she can't let anyone know without revealing too much. I loved Jaffe's book Rosebush so I had high expectations for this one and it didn't live up to that. I think the concept is interesting but it felt too long and I just couldn't get too interested in what was happening. But I have to assume it also suffered from my inflated expectations.